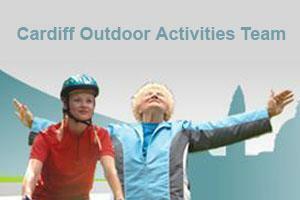 Cardiff Outdoor Activities Team Outdoor Pursuits CentreThe Cardiff Outdoor Activities Team (COAT) is an AALA licensed (R1445/L8159) outdoor activities provider. The child centred developmental nature of our work and the range of target groups make COAT a unique provision within Wales. COAT provides a fully inclusive approach to outdoor activities. We work with children & young people aged 5 to 18, some of whom may have disabilities. We also work with the 18+ age group through a training and development programme that empowers staff & volunteers to assist or even lead activities of their own. The activities are driven by feedback and consultation with the children & young people. The Cardiff Outdoor Activities Team consists of four full time instructors who provide free adventurous activities for children and young people.